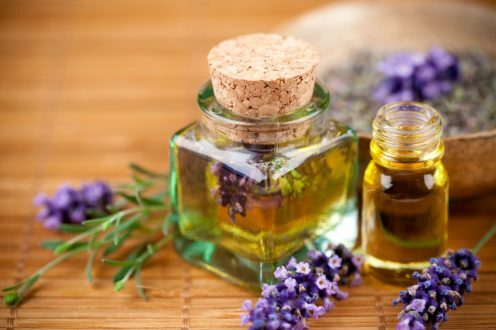 Hydrolats, or floral waters, are by-products generated during the production of essential oils. Such mixtures can be used instead of lotions and mists. They perfectly nourish the skin of the face and body. What properties do hydrolats have? We can distinguish the following hydrolats: lavender, rose, orange blossom, peppermint and many others. The above-mentioned floral waters are the most popular among the girls who value healthy and well-maintained skin. Lavender hydrolate is intended for the care of all skin types. It has antiseptic, soothing and antioxidant properties. Additionally, it regenerates damaged skin and nourishes it. Improves skin tone, strengthens the hair, soothes after waxing and tanning. Rose hydrolate is recommended for people who have oily, sensitive, dry, mature skin and broken capillaries. This liquid derives from flowers of Damask rose. It has moisturising and smoothing effects. Additionally, it improves elasticity. It soothes irritations, accelerates the healing of the small wounds, regenerates damaged skin. What is more, rose hydrolate strengthens blood vessels and lightens blemishes. The preparation works perfectly as a mist, toner or as a supplement to other cosmetic treatments. It has a very delicate and pleasant scent. Orange flower hydrolate is designed for sensitive skin, mature and oily skin prone to acne. One of its main tasks is to stimulate the production of collagen as well as tighten and tone skin. It has antibacterial, anti-inflammatory and soothing properties. Moreover, it regulates sebaceous glands, strengthens blood vessels, reduces redness. Besides, orange flower hydrolate tightens pores, evens skin tone and reduces imperfections. Additionally, it successfully replaces body and hair mists. It is often used as an addition to masks, scrubs, creams and shampoos. Peppermint hydrolate is recommended for people with oily, combination and acne-prone skin. The product strengthens the natural protective barrier of the skin, restores the proper pH, and provides antibacterial effects. Furthermore, it fights free radicals, reduces inflammation of the skin, improves blood circulation. Peppermint hydrolate refreshes and cools the skin during hot weather. Additionally it soothes skin irritated by shaving or epilation, strengthens weakened hair and eliminates dandruff.